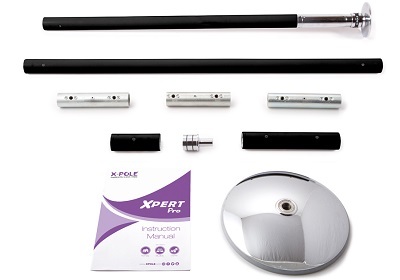 The Pro XPert Spinning Pole (PX) is the upgraded version of the XPert Spinning Pole (NX). 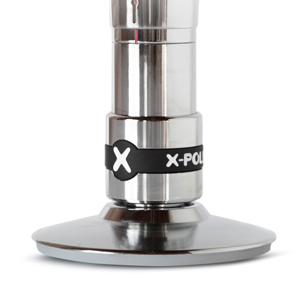 What are the main differences between the Pro XPert Pole (PX) and the XPert Pole (NX)? The Pro XPert silicone-coated pole comes with an X-LOCK which allows switching from static to spinning mode in less than a second with 1/2 a turn. This means that it is possible to locked/unlock the spinning mode during a routine - YAY! The upper dome is reduced in size to accommodate a smaller ceiling surface area required for supporting the XPert pole. Available in 45mm diameter in the colours hot pink or black. The X-LOCK (adjuster unit) can be retro-fitted to your existing (NX) XPERT pole and X-Pole competition/dual-lined poles and is available for purchase separately in our shop. Note: The Pro XPert Set does not include a carry bag. The Pro XPert Pole carry bag can be purchased separately.